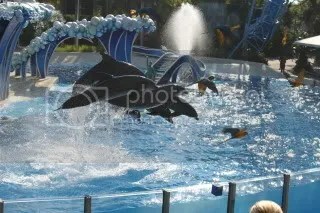 Oct. 21st, 2010 – We went to Seaworld! 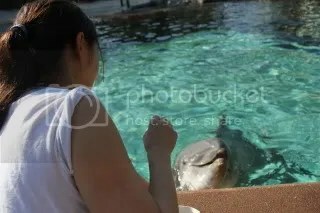 As noted before, I went to Florida before with my family..and on that trip…I vividly remember that Seaworld was one of my favorite places, and when I came back…I realized that it definitely still is. When we got in, we darted towards the major rides! We first hit up the Manta. We had be anticipating this ride from the very beginning and damn was it awesome. You ride it superman style! basically, head first and belly down…and wow does that create a completely new sensation when you’re riding rollercoasters and taking twists, turns and going upside-down! I felt like a bird flying =) Afterwards, we hit up the Kraken, a floorless rollercoaster, which my bro and I went on over and over again when we went a few years ago..and it’s definitely still just as amazing! 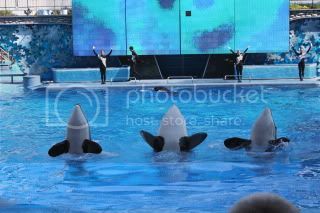 After feeding the cute dolphins, we hit up 3 shows…one with dolphins, another with walruses, sea lions and otters, and then the shamu one ( one whale had just given birth to a baby only 12 days before we arrived, and we got to see the mommie and calf!). The shows were all cute and the animals were all brilliant. Given.. I was quite hesitant to go to Seaworld after reading the news about Seaworld and finding out that the life of a captive whale is basically half than one in the wild…but..I still had fun? 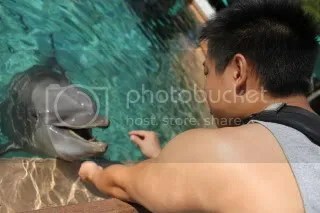 plus, lots of their animals there are ones that they have rescued. Well..we left by 4pm and took a short nap…but since it was our last full night in Florida..we couldn’t just end it like that! 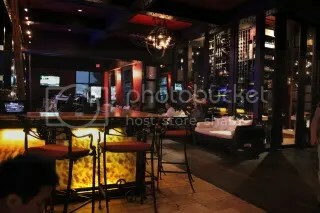 We went to eat at a meat buffet place called Texas De Brazil, which is very similiar to Ipanema Grill, but instead the meat is more pink (awesome!) and if you don’t like how the meat is, you can ask them to cook you a skewer that is more red or even with less salty. Delicious! To burn off some calories after some fine-meat-dining, we played 2 rounds of some intensee……. 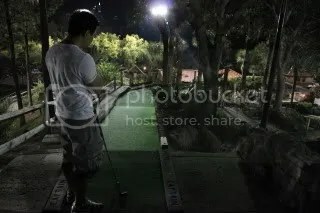 mini golf at Pirates Cove!